National Planning meeting on Water on 10th and 11th May, 2012 took stock of the onslaught on the public water across the country by the foreign, national water companies and advocates of corporatization and private sector participation with the help of the case studies from several States. It took a considered view of the Draft National Water Policy 2012 which is facing criticism because it is promoting water as an economic good and reduced the constitutionally elected government to a simple regulator among other regressive measures. The peoples’ campaign for right to water, PUCL, INSAF and Manthan organised this planning meeting in New Delhi to reflect, analyse and plan ways of protecting public water. The participants underlined the need for a national response by a critical mass of citizens and democratic organizations. Initiating the discussion on the first day with the above remarks, Wilfred De Costa of INSAF asked Gopal Krishna, an independent environmental health researcher to introduce the issue and moderate the discussion. The two day meeting was moderated by Shripad Dharmadhikary, Wilfred De Costa, Gopal Krishna and Dr Sunilam. Gopal Krishna drew on the relationship between the National Water Policy of 1987, 2002 and the Draft National Water Policy of 2012 and their possible linkage with the Planning Commission's Draft National Water Framework Act, EU Water Framework Directive, 2000, United Nations Convention on the Law of the Non-Navigational Uses of International Watercourses, 1997 the only treaty governing shared freshwater. He underlined the need to review Draft National Water Policy of 2012 and Draft National Water Framework Act together. He underlined that the chairman of the drafting committee of the Draft National Water Policy 2012 forgot the recommendations of the National Commission for Integrated Water Resources Development Plan which he himself chaired and that recommended against interlinking of rivers. The draft policy recommends interlinking of rivers by referring to inter-basin transfer of water. He talked about reference of land, soil moisture, soil erosion, embankments in the Draft National Water Policy 2012. He mentioned how Bihar Water Resource ministry and Public health ministry appear to be at loggerheads in the efforts to come out with a State Water Policy. The latter has come out with Draft Water and Sanitation Policy 2010 and Draft State Water Policy 2010. The former had issued a Draft State Water Policy 2009. He underlined that during a collective research on the entire stretch of Ganga, it was found that most water policies of Ganga basin states appear to be photocopies of each other. 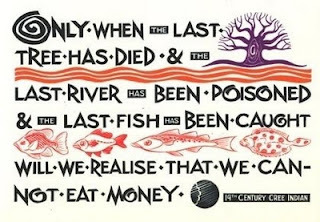 The same holds true for water policies of neighboring countries. It appears that they have been drafted at a common place like some international financial institution. Similar pattern has been witnessed in several South American countries as well. Kshithij Urs of peoples’ campaign for right to water said that Union Water Resources Minister, Pawan Kumar Bansal misled the Parliament by stating that there was no proposal for privatisation of water resources, but would encourage public-private partnership (PPP) mode for effective utilisation of the scarce natural resource. Privatisation is not being done and it cannot be done. Kshithij stressed that PPP mode to ensure 24X7 supply for effective use of water in Karnatka has failed. He referred to the aggregate model. He submitted that NGOs like Janagraha are for privatization of water. It is they who framed the JNUNURM model of PPP agreements. Shripad Dharmadhikary, Manthan, Pune said that the push in the policy for privatisation and commodification of the water sector is visible. The "Service Provider" role of the state is shifting to that of a regulator of services and facilitator for strengthening the institutions responsible for planning, implementation and management of water resources. The water related services are being transferred to a PPP mode, any venture in which the private sector is involved in a manner that it exercises control on some or all parts of the water supply system, from production, transmission, treatment to delivery. Typical EPC (Engineering, Procurement and Construction) contracts would therefore not be considered a PPP, but an O&M management contract would. PPP arrangement is privatisation. Votaries of privatisation argue that they are not privatizing water, but only involving private parties in managing it. He underlined that no private operator would undertake a project unless it is assured of its raw material i.e. water. He cited the example of country's first Water Regulatory Authority in Maharashtra under the influence of World Bank Water Regulatory Authorities in each state. He also emphasised that large scale hydro-power by private companies is also an act of privatization, which is generally not recognised. Gopal Krishna showed a book by B R Lall, former Joint Director, CBI and drew attention towards his letter to K Vijaya Rama Rao, the then Director, CBI in August 1995 wherein he mentions that he strove for complete investigation into the power sector, which is draining the country. In the book it is mentioned that kickbacks may be 3 to 10 % of the project cost, but up-valuation is anything between 40 to 100 % of the real project cost. He had sent a report on Chamera project to Director, CBI where against an estimated cost of Rs 1393 crores in 1992, the negotiations for allotment are on for Rs 3300 to 3600 crores i.e. @ Rs 12 crores per MW whereas world over rate of only around Rs 6 crores per MW is considered reasonable for hydro electric projects. In the letter it is reasoned that even if this figure were to be Rs 2000 crores for 300 MW Chamera project, shouldn’t it be examined when Rs 1000 to 1500 crore of the nation is being squandered for kickbacks of Rs 100 crore. Gopal Krishna underlined that cost/price manipulation in both conventional and renewable energy must be rigorously probed. He recollected that as part of a citizens’ delegation comprising of Medha Patkar and several other colleagues from NAPM and Sangarsh he had met Dr Murali Manohar Joshi, Chairman, Public Accounts Committee at his residence to submit a petition demanding audit of World Bank projects by CAG. Dr Joshi agreed with the demands in the petition and need to bring them under Parliament’s scrutiny but had expressed his helplessness. Gautam Bandopadhyaya, Nadi Ghati Morch, Raipur referred to the role of the Nation Water Mission under the National Action Plan for Climate Change which in effect seems to promote status quo. He asked Himanshu Thakker, SANDRP to elaborate on it. Himanshu Thakker, SANDRP, New Delhi underlined Nation Water Mission is more about adaptation and not mitigation. SANDRP has reviewed the Mission at length. He referred to the Planning Commission's Steering Committee on Water Resources and Sanitation that set up a Working Group on Water Governance for formulation of the Twelfth Five Year Plan which was headed by Sunita Narain. He underlined that a dissenting report was annexed to the report of the Working Group on Urban and Industrial Water Supply and Sanitation expressing disagreement expressing disappointment with the fact that Water as Fundamental Human Right has been articulated strongly enough and articulation of the issue of privatisation also left a lot to be desired. The Report has missed out on highlighting the many serious problems of privatisation and PPPs and has neglected the serious implications of these problems. Its recommendations are weak. The recommendation that "there should be no privatisation in the drinking and municipal water supply systems" was not noted in the report. These additional comments from Shripad and Himanshu who were members of the Working Group on Urban and Industrial Water Supply and Sanitation are available on Planning Commission's website. Himanshu underlined that government is not keen on Ramaswamy Iyer's text for Water Framework Act. Gaurav Dwivedi shared the Madhya Pradesh experience where promise of 24 X 7 water supply turned out to be a 6 hour water supply even this is not mandatory. He dwelt on the role being played by institutions like Mayor-in-Council (MIC) who propose that no new public standposts are to be sanctioned. He underlined that most Detailed Project Reports and City Development Plans are copy pasted texts. He wondered that although private water projects face serious financial and operational problems still more of such projects are being proposed. He shared the findings of his study of the Khandwa water project that was partly financed by the International Finance Corporation, the World Bank's private sector arm. It is a PPP project sanctioned under a central government scheme for urban infrastructure. It was pointed that privatisation of public services and resources like water is to be replicated across India. The IFC has invested $5 million out of a total PPP investment of $39 million in two water and waste water projects, including Khandwa. It is being undertaken by Hyderabad based Infrastructure Ltd. He ridiculed this PPP project wherein more than 90 per cent of the capital expenditure of $28.8 million comes from public resources. The private operator charges the city dwellers for operation and maintenance under the concession agreement. The imminent rise in costs of delivering water with pipes makes the fate of poor and low-income areas uncertain. He underscored the possibility of dismantling of public water standposts to reduce so-called water loss. Shripad said that in the Khandwa, it’s a BOT project where the city’s water supply has been handed over to a private company for 25 years. The agreement includes a restriction that no parallel competing facility will be allowed. Although what constitutes a competing facility is not defined, it can well be stretched to mean private wells and other common water sources. Similar situation was witnessed in Cochabamba, Bolivia. Shripad underlined that Karnataka is ahead of Odisha in reforms and Cambodia model is being cited. It was underlined that water quality is not the responsibility of the private water supplier for which it is the municipality that is legally responsible. Dunu Roy of Hazards Center, New Delhi argued that under the Environmental Protection Act, 1986, you cannot make the polluter liable, you can only make the regulator liable. The former is not responsible for water quality. He underlined the need for audit. He pointed out the 56 municipality study of World Bank’s Water and Sanitation Program that reveal the trends in private sector participation in the Indian water sector. He referred to five avatars of PPP. It is in the fifth avatar that there is 90 % public fund in PPP projects. PPP has not functioned. He referred to the CIC’s view as to how is it that when a significant share of public money is involved in a PPP project, it is still a private project. He referred to PPP for polluted water. The basic premise of PPP stands exposed even as the JNUNURM model for signing PPP is being adopted in several cities. It has been extended from 63 cities to 5, 000 cities. He dwelt on user fees and commodification of water and how measurement of water has emerged as a huge industry through IT applications. Very soon water related information may not be available for free. Gopal Krishna said that land-water is a non-dual entity and must be dealt with collectively. He underlined that under the Finance Ministry, a Technology Advisory Group on Unique projects has proposed National Information Utilities (NIUs) which would be set as a private company with a public purpose with profit making as the motive but not profit maximizing. When NIU like entities will mange measurement of water, the possibility of water related information being turned into a purchasable commodity does exist. Madhuresh of NAPM asked about the new PPP policy. He later said that there is need to change the template of the campaign efforts and focus on projects on the ground because policy advocacy does not seem to yield results. Gopal Krishna disagreed with the latter parts of the argument. He argued that since wars begin in mind while battles and struggles must be fought on the ground, battle of minds reflected in policies must not be lost sight of else one might win battles but lose wars. Anil Chaudhary stressed that both approaches are required. Pranjal from Maharashtra dwelt on World Bank funded restricting and audit of water and energy. He referred to privatization of basin. Maharashtra was the first to change the priorities for water. He shared case studies from Badalpur, Chandrapur, Aurangabad, Latur etc. He expressed his dismay at the National Urban Water Awards given to the Badalpur project by the hands of President of India. He explained how the privatisation of water supply in Chandrapur to improve efficiency and investment was withdrawn. Gopal Krishna argued that people are not given a choice between public or private irregularities. One The Economist report had shown that water related transnational companies are exiting world over. He referred to CAG’s Guidelines for auditing PPP projects. He recollected the past and present efforts to privatise water in Delhi. Legal opinion was that since Delhi Jal Board is not an elected body any contract it enters into for water supply will be legally invalid because under the constitution only elected bodies have the right to ensure municipal water supply. The current effort of Pani Haq Abhiyan was underlined. Himanshu Thakkar pointed out that privatization of water in Delhi was stopped by the consistent efforts trade union of Delhi Jal Board. It was only later that RTI activists joined the campaign. He referred to the current efforts by SUCI party to stop privatization of water in Delhi. Arati Tiwari, Corporator, Gulbarga shared the elaborate case study of how Karnataka Government’s plan to extend the 24x7 water supply scheme from a few select wards to entire city corporations of Hubli-Dharwad, Belgaum and Gulbarga has caused massive monetary increase in the rate of water supply. None of the 55 corporators of Gulbarga City Council have given their consent still the plan is unfolding. She narrated how her family has to foot a bill of Rs 3500/month as water charge. She argued that democracy has become a Govt off the people, buy the people and forget the people. Dunu referred to the need to challenge the process. He recollected the repeal of Land Ceiling Act and implementation of JNNNURM projects in Andhra Pradesh. Dr Sunilam, former legislator of Madhya Pradesh from of Kisan Sangharsh Samiti argued that national water policies are not discussed at the ground level. People at the village level feel that water is nature given or god given. There is a conspiracy element with regard to water but there is problem of information dissemination at the ground level. Even legislators are not educated about it. Prabhakar posed a question as to who can cancel the contract of water privatization legally. The process of entering into the contract can be challenged. He informed that ‘pay for water’ culture is being promoted in Karnataka. Himanshu said that the contract of sale of Sheonath river in Chhatisgarh was illegal because those who signed the contract did not have the authority to do so. He pointed out that ground water is the lifeline of India which is a private resource and is user driven. He raised questions about ‘benign’ small projects like those in Netrvati basin where 16 projects are unfolding without any EIA. He questioned the rationality of EIA exemption for those dams which are built for drinking, commercial use and industrial use of water. When Rajiv Gauba, Joint Secretary, Union Ministry of Environment & Forest was asked, he admitted that it happened because of slip of pen. He informed the meeting that India’s biggest anti-dam movement is underway in Assam. It has become political because every party has been forced to take a position. Movement against dams is underway in Manipur as well. He submitted that official reports show how blasting leads to drying up of streams. He stressed the need for monitoring the Small Water Providers or Small Water Enterprises where US funds are being channeled in rural areas. Strangely, entities like Toyota, Pepsico, BASICS, Dhan Foundation, Harvard University and Hopkins University are involved in it. Sujit said that the legality of PPP projects and liabilities will be determined under the Indian Contract Act, 1872. Gautam referred to 34 MoUs on Mahanadi for 55000 MW and 7 barrages. He talked about the 42 villages of Champa where Chhatisgarh government has sold out Rogda irrigation dam in Janjgir-Champa district and given the dam site to a private power company. He also talked about the engineered conflicts between Odisha and Chhatisgarh on river Indravati. Ranjan Panda from Odisha dwelt on the politics over Indravati river. He wanted a reported on the status of river water, talked about 59/42 proposed embankments on the river. He argued that farmers pay more tax than the industrialists. He underlined that earlier water scarcity used to start in April now it commences in January. He argued for cumulative impact assessment of bundle of projects. He contested that ‘Right to Drinking Water’ especially the meaning imposed on it. He sought stoppage of internet based opinion as a substitute of people’s opinion. Silva referred to how Water Aid commoditises water. He pointed out how sixteen cities across have been assured 24x7 supply of drinking water through the ambitious 'Kannada Ganga' project. He referred to the World Water Summit that made a case for centralization by moving water to concurrent list in the name of water governance. Silva argued that Mother Earth declaration should be internalized in the declaration. The definition of water as we have known it all along is changing. The role of NGOs like Jaladhikar, Janagrha, Arghyam-IndiaWater Portal, IWMI, CSE, UNDP’s Solutions Exchange and their position with regard to privatization of water, role of World Water Forum, CSR, habitat studied by Rohini Nilekani that is operating from L C Jain’s residence was discussed. IWMI has argued that there is only one problem in water sector-absence of privatization. In a program on NDTV, CSE staffer argued that privatization is a grey area. It was found that almost 90 % of people in UNDP’s Solutions Exchange are in favour of ‘willing to pay’ as per UNDP study. Mamata of Water Aid referred to repressive measures against people’s campaign and asked about way to deal with it. Gopal Krishna argued that water should be the determining factor in deciding which energy sources we are going to use in future to power our energy demands and to underline why nuclear power plants are not sustainable. We need to quantity water needs. He stated that a situation is emerging where instead of providing assured safe drinking water as matter of right, right to purchase bottled water is being pushed. He asked about the fate of Gujarat’s Kalpasar project. He argued for a people’s framework for water policy and act where land use is factored in. Himanshu informed that the Kalpsar dam project was considered by Experts Appraisal Committee and rejected by it. It’s a 64 km long dam in the sea. He pointed that the colonization of water sources is underway. P.S: At the water meeting a letter in the form of a public appeal by Gopal Krishna that was sent to several NGOs working with Planning Commission’s Unique Identification Authority of India (UIDAI) denouncing UID & Union Home Ministry’s National Population Register project was mentioned. The published letter had forewarned NGOs who are complicit in the implementation of UID. It argued that future generations will question them for their acts of omission and commission. The self explanatory letter based on Statement of Concern by 17 eminent citizens led by Justice V R Krishna Iyer and the decision of IGSSS to withdraw from UID project is attached. The national campaign against UID feels that Nandan Manohar Nilekani’s efforts to create a common land market using a National ID is linked to efforts to create perfect water markets citing a 2003 book ‘The Mystery of Capital: Why Capitalism Triumphs in the West and Fails Everywhere Else’. One can find it in his book. Does anyone except people of Nilekani brand agree with the title of the book? NATO, FICCI and ASSOCHAM documents reveal how UID is like fish bait with bigger designs. Nilekani has succeeded in convincing gullible NGOs and docile political class into believing that common land market (also water market) can reduce poverty! “Once this happens, the separation of data that currently exists between multiple databases will vanish”. This poses a threat to the identity of citizens (a subset of residents) and the idea of residents of the state as private persons will be forever abandoned, states will become totally subservient to centre and constitutional rights will become a thing of past. Citizens and concerned agencies need to be wary of those who have joined the UID Number project. Parliamentary Standing Committee on Finance deliberated on National Identification Authority of India (NIAI) Bill rejected the Bill and the UID project. Given the fact that land and water co-exist and UID aims to create a common land market. It appears quite obvious that it is also about creating water market. A question was raised as to whether NGOisation isn't also privatization. Stress was laid on identifying dirty dozen NGOs whose stance water appears dubious and NGOs which are in Small Water Investor projects.